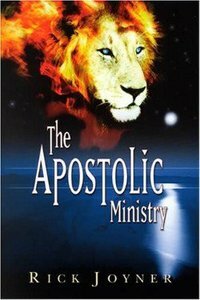 - Publisher The ministry of the apostle is the linchpin ministry of the church, and without it the church cannot become what it is called to be. While the world and much of the church has focused on scandals and problems in the church, that which is now being called 'The New Apostolic Reformation' emerged and quickly became not only the fastest growing part of the church, but the fastest growing religious movement of any kind on the earth. For this reason the subject addressed by this book is one of the most important for our times. The ministry of the apostle is the linchpin ministry of the church, and without it the church cannot become what it is called to be. While the world and much of the church has focused on scandals and problems in the church, that which is now being called 'The New Apostolic Reformation' emerged and quickly became not only the fastest growing part of the church, but the fastest growing religious movement of any kind on the earth. For this reason the subject addressed by this book is one of the most important for our times.